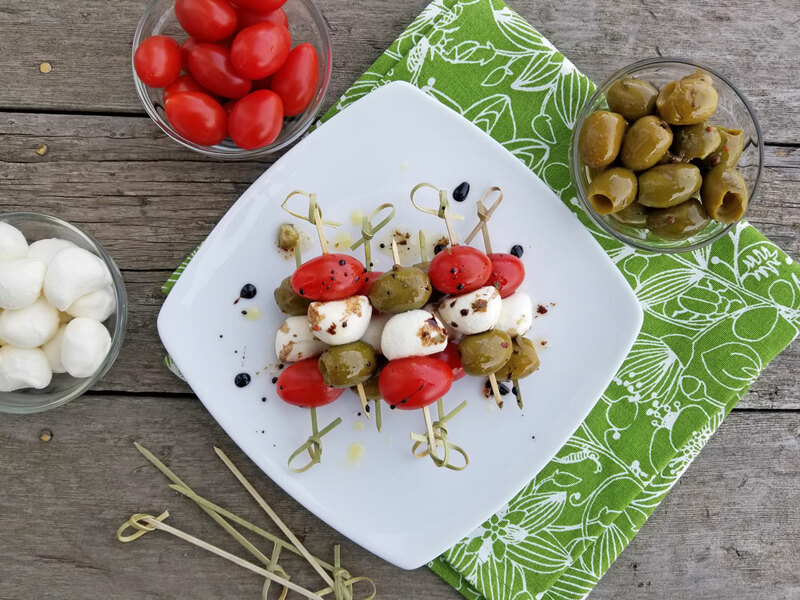 This quick and easy to make appetizer combines the flavours of tomatoes, bocconcini and olives all in one bite. 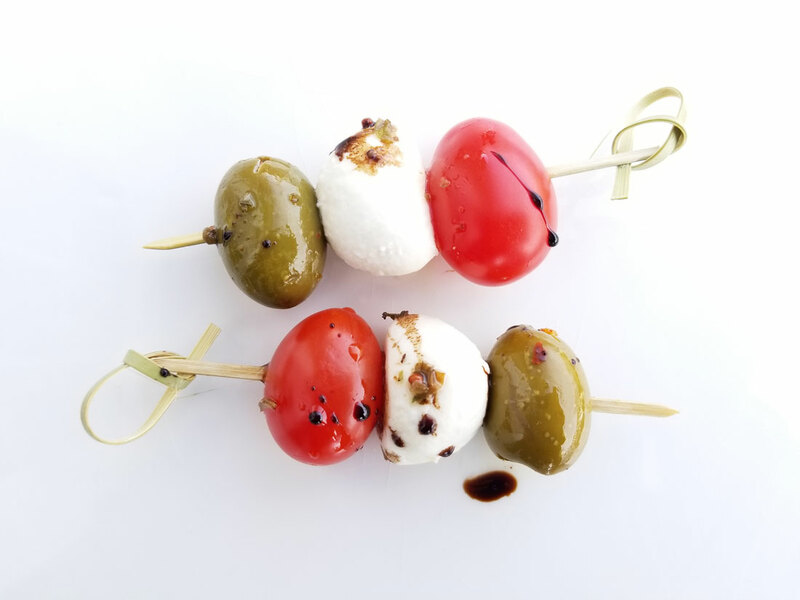 To make these Tomato, Sicilian Olive and Bocconcini Skewers use local, ripe cherry or grape tomatoes, the small bocconcini balls found in bulk our deli counter and Sicilian olives also found in bulk in our deli counter. Balsamic Glaze is sweeter than balsamic vinegar as it’s been reduced which intensifies the flavour. You can purchase the glaze in the store or buy the balsamic vinegar and make your own. You can prepare skewers in advance and drizzle on the glaze just before serving. 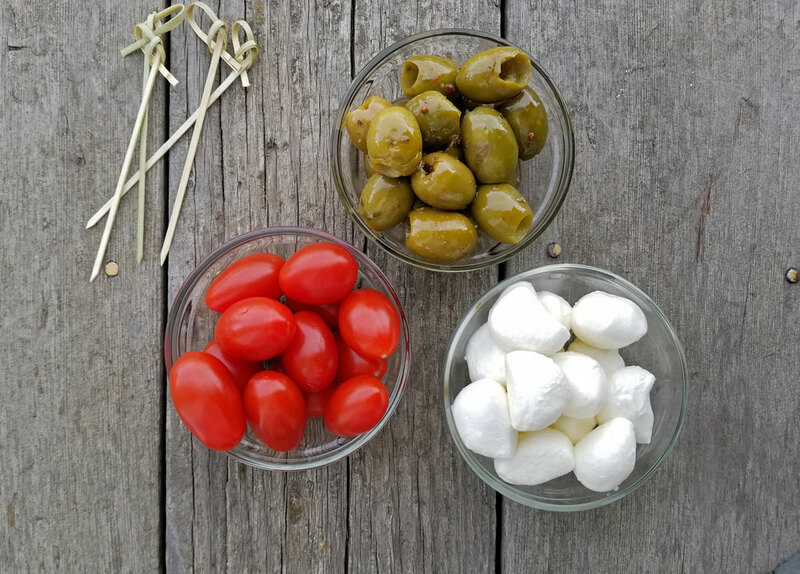 Thread the tomatoes, olives and bocconcini onto skewers. Arrange the skewers on a plate and drizzle with the balsamic blaze.